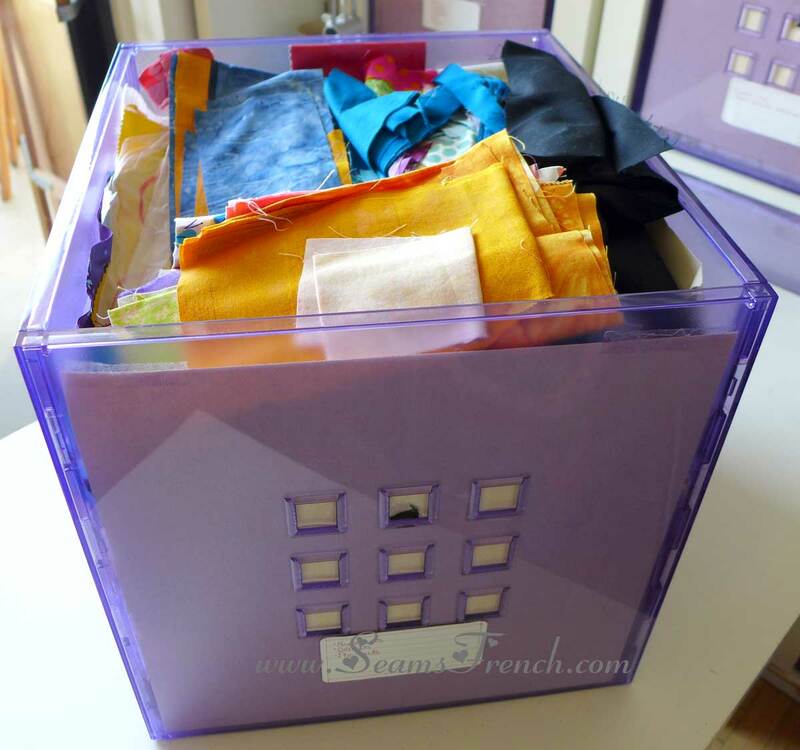 Much of my fabric is stored in these IKEA acrylic boxes. There are 13 of these units full of fabrics. To the brim! A few are filled with scraps and rejects. This is the first box of scraps to be dealt with. Several sorts and resorts resulted in these scraps being categorized by colour, similar shapes (strips, triangles, squares) and similar weights (not all are quilting fabrics), and by pre-cuts, pre-pieced and pre-prepped (trims, bindings, etc.). Left over bindings and trims. 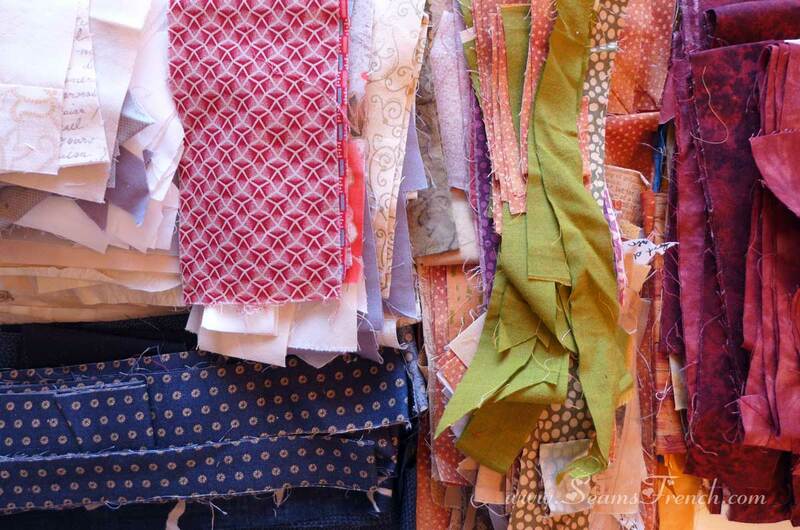 These golds, greens and beiges made the final sort for the first scrap buster project. 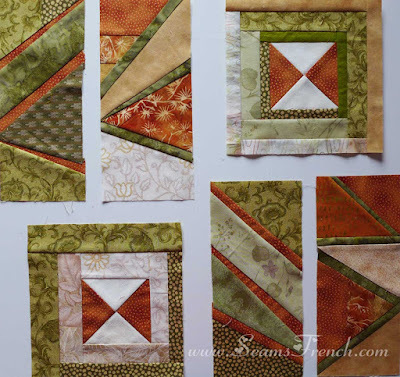 In this mix are a number of pieced blocks left over from previous quilts. 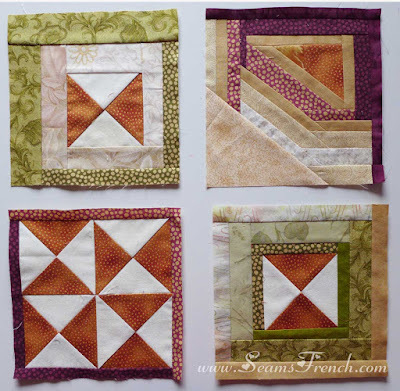 These pre-pieced units came together quite quickly and easily as a simple 8 1/2 inch block (8 1/2 ish; I'm not going to worry too much about the exact size for now). 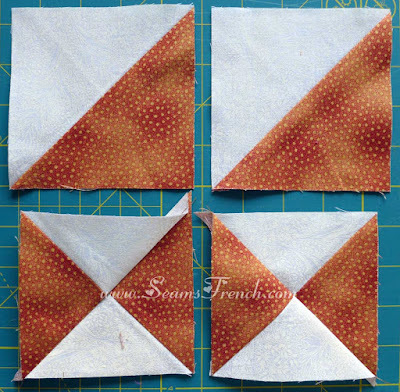 Starting with this simple block allowed me to set some general parameters as to the size and shape that would work with the scraps I have. Evolution of the blocks will likely be an on-going process. 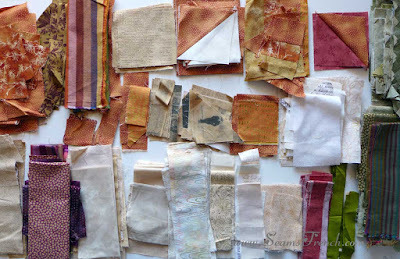 I left a few pieces of eggplant coloured fabrics in the palette. The verdict's not in on that yet but I'm inclined to think "no". Below are the first 4 blocks completed by the trial and error method. And yes, it was a trial and there is certainly error. Top right hand corner is a serious "no-go". What was I thinking?!? The other 3 could possibly be worked into something. After the first block, bottom left, I played around with the log cabin setting. Other then the upper right hand corner, I think that this pattern could work. But since I am still experimenting with the type of block that will suit my purposes best, I decided to switch it up and move into a long setting for blocks 5 - 8. I quite preferred making these. There was less waste and they came together much faster. Below I'm playing around with a layout possibility using both square and rectangular units. So, after the first 8 days, I am finding that I quite like playing in the improv playground. 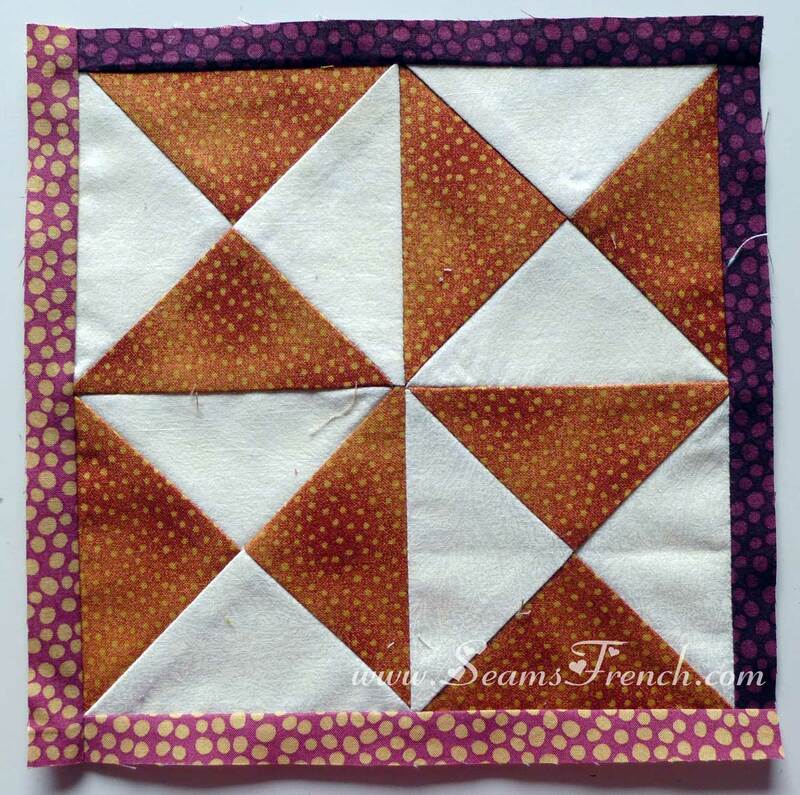 There is much I need to learn about this type of "less defined" quilting and it's exciting to experiment with it. The 30 minute a day time limit is a bit more of a problem. I find that once I get going on the blocks, I can't stop myself. The freedom of this exploration is too much fun! Who knew? 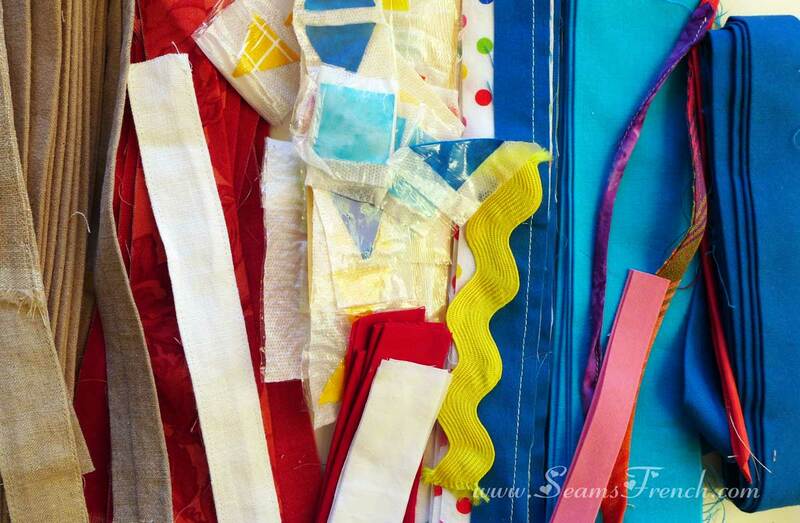 Looking forward to see more from your scraps. Looks wonderful so far. Thanks Grit. I'm having fun playing with my fabric palette. Great idea of grouping the scraps by color and making a quilt. 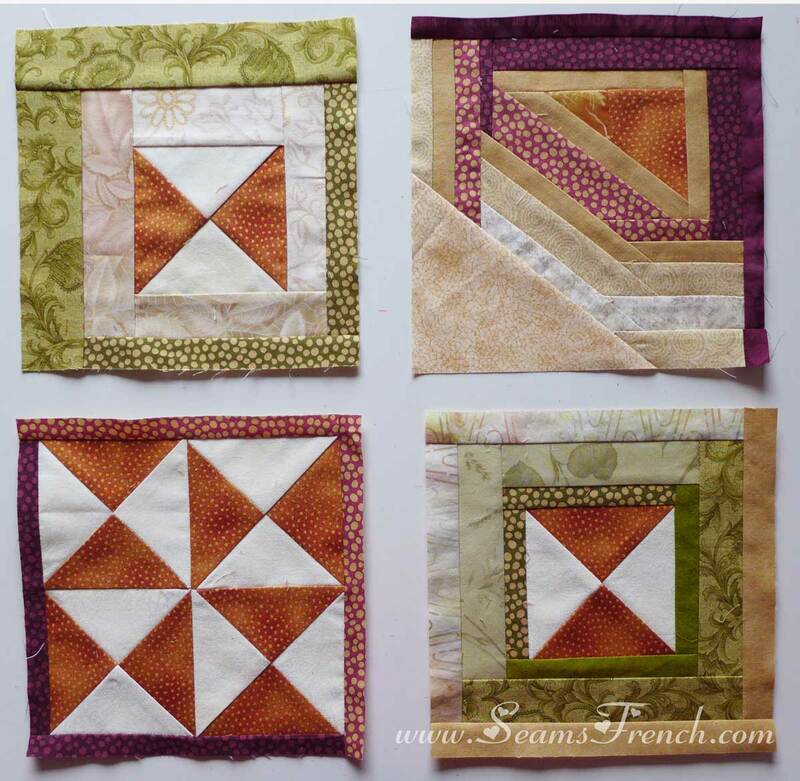 Were the second group of blocks done by paper piecing? That seems to be fairly efficient. Instead of 30 min/day, why don't you try two 2 hour blocks of time? That gives you enough time to actually focus on a task. I can seldom get much done in only 30 minutes. Hi Cynthia. I didn't use paper piecing for any of it, but I found most of my off-cuts worked very well in the rectangular block as they were, without a lot of re-cutting or waste. Funny thing that you mention the 30 minute time block. If truth be known, I have not yet been able to stop myself after 30 minutes. What you say is very true; once I get going, I get into the swing of things and can't seem to stop myself. So far I have spent 3 partial days and have 13 finished blocks. The goal is 30 min/block. Some of the blocks have only taken 30 minutes, but most have taken more then that. With time I will figure out how to best fit it into my schedule. Yeah, I'm sort of thinking that the 30 minutes/day is a bit of a dream, but I really don't want to spend a whole lot more time on it then that. Cynthia's suggestion of taking a block of longer time every few days seems to be the way I'm starting off this project anyway. 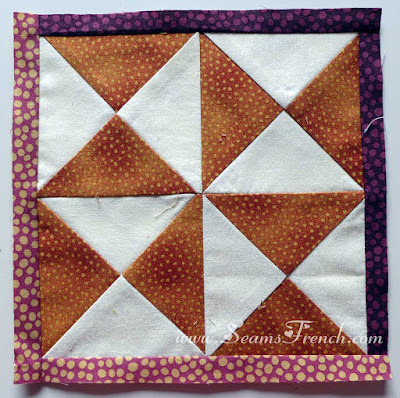 The goal is to make 365 blocks in the year, so I'll have to figure out a way to make it fit between the other projects. Here's hoping! Your time issue is easily fixed by saying "at least" 30 minutes. You're off to an excellent start! 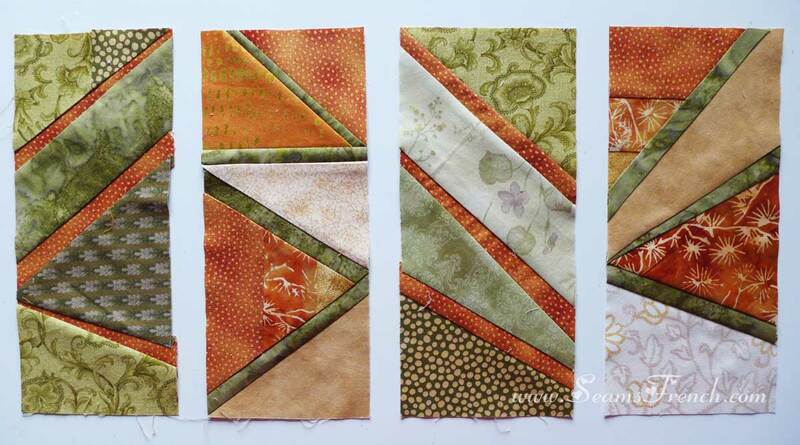 They are all lovely fabrics, and working so well together. Can you slice your WWIT block in half to match the other rectangles? Or, there's always the back! Looks like some good, wintertime fun! It seems that the 30 min time limit has already changed from "maximum" to "at least". Hmmm... . Not what I had intended, but so it goes. As to the slice and dice technique, excellent idea. I think I will adopt. And if it's still too WWIT, it may just be sliced and diced straight into the garbage bin!